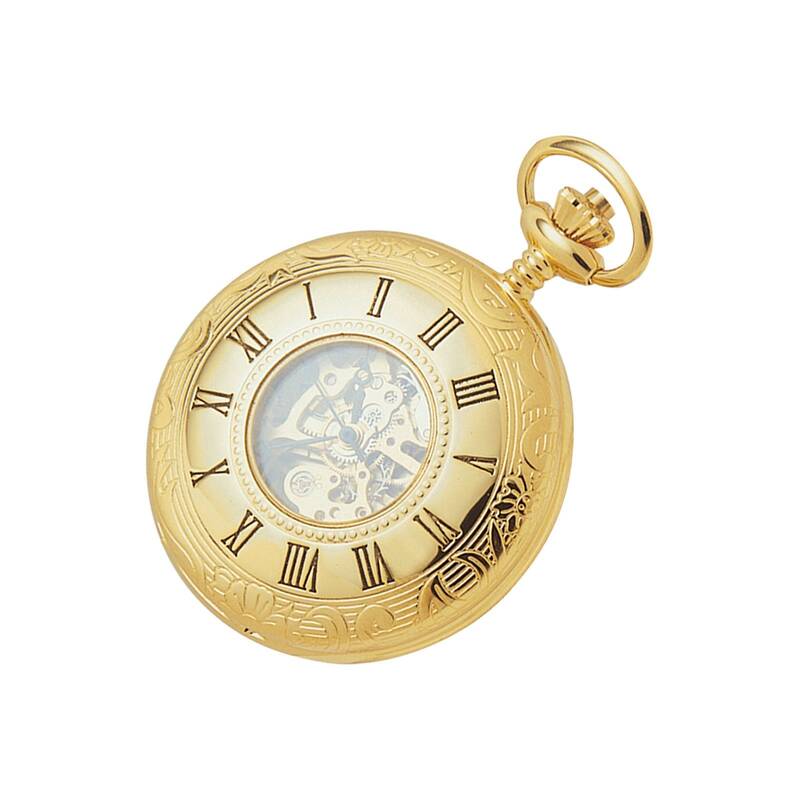 This half hunter pocket watch has a gold case with engraved pattern and Roman numerals around the viewing window. 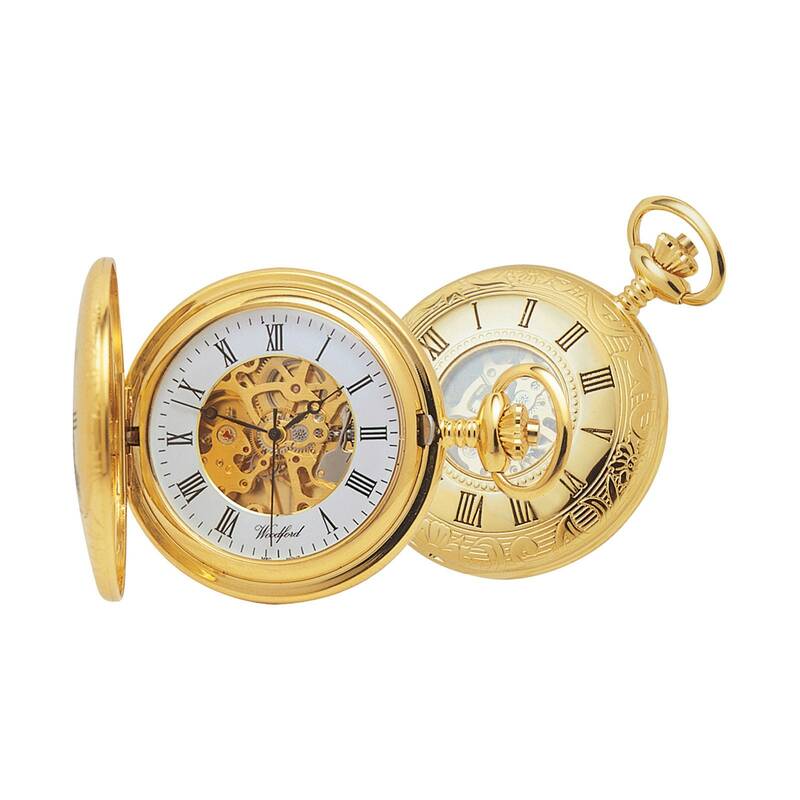 Inside the watch is a white face with Roman numerals and a skeleton display. 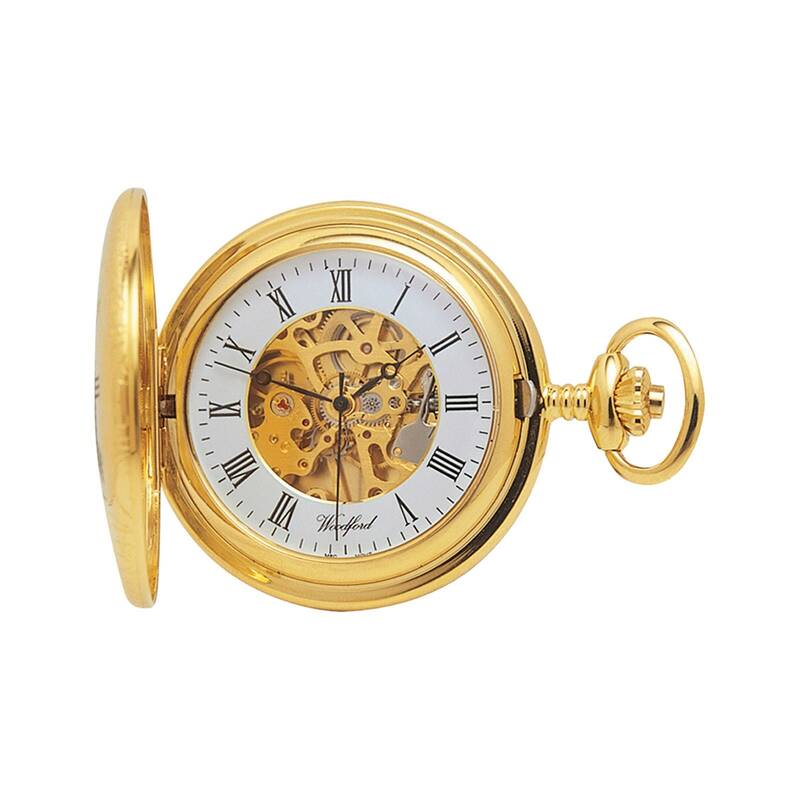 The back of the watch is plain and is suitable for personalized engraving with a name, date or message up to 50 characters.